NCrunch Forum » General Support » Daily Usage Issues » Engine mode name edit not persisted if using Alt+O shortcut. Engine mode name edit not persisted if using Alt+O shortcut. 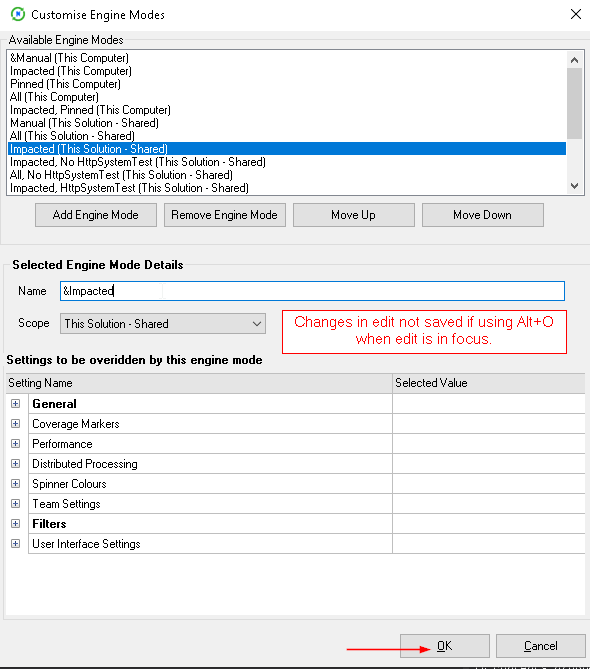 Changes in edit for engine mode are not saved if using Alt+O shortcut when edit is focused. Thanks! This is a good catch. We'll get it fixed.